ISIS is to ISIL as Prince is to “The Artist Formerly Known as Prince.” Translated from Arabic, ISIS stands for The Islamic State of Iraq and Syria (or al-Sham). 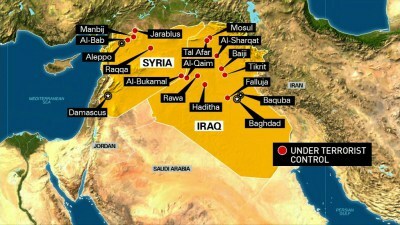 ISIL translated is an acronym for The Islamic State of Iraq and Levant. The US State Department officially refers to the terrorist group as ISIL, which is why President Obama uses that name. Most news media outlets like Fox News and MSNBC, refer to the terrorist group as ISIS. Some argue, specifically Chuck Todd of NBC News, that the State Department’s insistence on using ISIL instead of ISIS is to downplay the use of Syria in the name. On the other end of the spectrum, Fox News’ Harris Faulkner argues the reason President Obama says ISIL instead of ISIS is that the use of ‘Levant’ (a geographic region of the eastern Mediterranean, e.g Syria, Lebanon, Jordan, Palestine) refers to a larger area to combat the terrorist group. Further complicating matters, ISIS (or ISIL) officially changed its name to ‘The Islamic State’ or IS, when they established a caliphate. A caliphate establishes religious authority over all Muslims. Historically, it is an Islamic state led by a religious or political leader called a caliph. It is ruled by Islamic faithful and adheres to Sharia Law. There have been several caliphates established throughout Islamic history including those of the Umayyads, the Abbasids, and the Ottomans. There are also very different views on the establishment of a caliph by Sunni and Shia Muslims. Sunnis believe a caliph should be elected and Shia believe a caliph should be an Imam chosen from the “Family of the House”, whom are believed to be the direct descendants of Muhammad. Both believe the Caliph is a prophet. The divide over the proper successor to the Prophet Muhammad as caliph in 632 is what sparked the schism between Shiites and Sunnis. ISIS is a Sunni extremist group that wants to establish a Salafist caliphate throughout the region. The Salafi movement is a sect within Islam with very strict religious views. Salafists adhere to an orthodox form of Sunni Islam (specifically Wahabism) adhering to literal and traditional readings of the Koran and Sharia law. ISIS, along with other Salafists, believes in returning to the the early teachings of Islam and rejecting later interpretations. Salafism came about in the 19th century to reject influences on the religion from the Western world, even rejecting previous caliphates such as the Ottoman Caliphate. Wasn’t the US fighting Al-Qaida, in Iraq? Following the split, Al-Qaida’s presence in Iraq is scant,and their presence in Syria is also dwindling, making ISIS one of the major threats in the region. Why did the US pull out of Iraq if ISIS was such a problem? 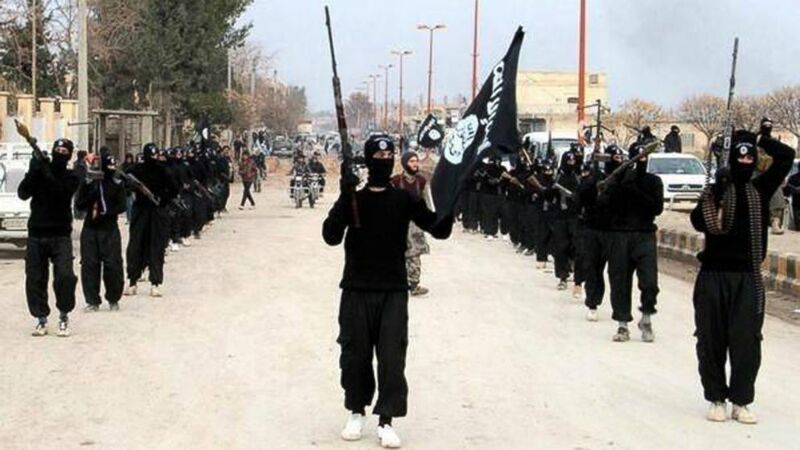 Back in 2011, the US State Department started to view ISIS as a waning threat to the region. Before the withdrawal of US troops ISIS had been nearly eliminated in Iraq. The group gained strength following the removal of coalition forces in 2011, and recruitment increased significantly the following year. By 2014, their involvement in Iraq and the Syrian Civil War gave ISIS a significant presence in the region. Some argue their increase in recruitment numbers was due to discontent among Sunni militia and civilians, stemming from mistreatment by Iraqi President Nouri al-Maliki, a Shiite. The Economist claims ISIS is less like a terrorist group and more like an army. So where does the US go from here? President Obama announced the other night, “America will lead a broad coalition to roll back this terrorist threat. Our objective is clear: We will degrade, and ultimately destroy, ISIL through a comprehensive and sustained counterterrorism strategy.” The real question is can the response by the United States fix the political turmoil of a region trapped between dictators and terrorists?